Once upon a time, there was a whisky distillery in the Speyside managed by the same family for generations. And still is, Glenfarclas is one of the last family distilleries out there, in a world of shark-like giant enterprises. 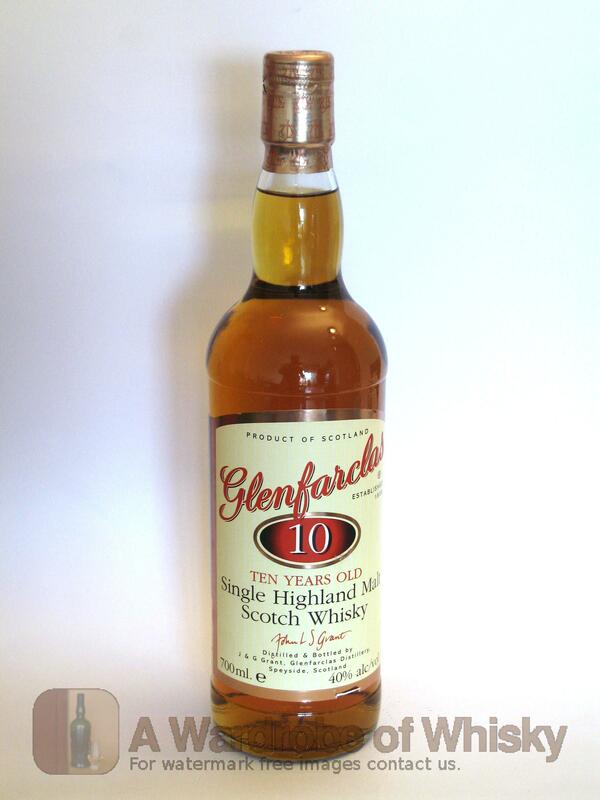 This Glenfarclas 10 years old is a straw-gold , delicately light, sweet and malty dram leaving a long slightly spicy finish. Always impeccably well-made, this is a whisky that always delivers in quality. If you like the Macallan, this single malt is something you shouldn't miss at all. Nose (90): more than average. honey, sherry, spices, citrus, cinnamon, wood, nuts, tobacco, flowers. Taste (87): light, smooth. honey, citrus, wood, spices, cinnamon, nuts, leather. Finish (87): no finish. honey, citrus, spices. 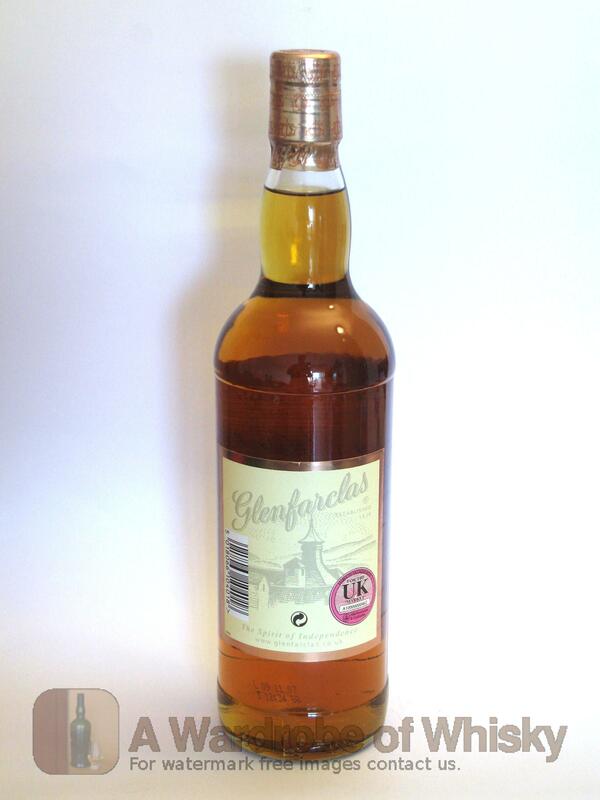 Master of Malt Give Away �4,000 Whisky? 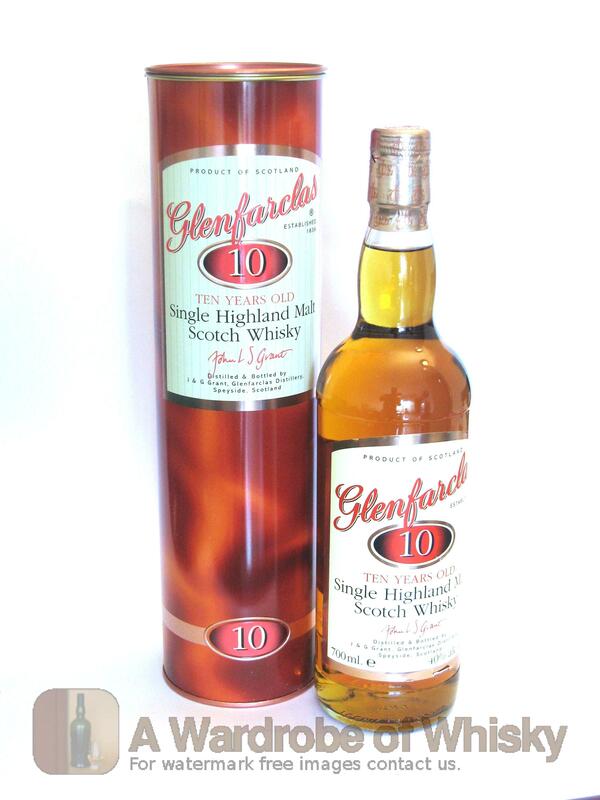 These bottles have been chosen over others because their nose, taste and finish are more similar to Glenfarclas 10 year than the rest. Go to Whisky-o-matic page to fine tuning other settings.